Occasionally, I bid on things on auction sites knowing I’m not going to win them. It’s fun. You get that little retail therapy thrill without actually having to spend money. The other day… I accidentally won a Pushead lot that I didn’t intent to win. But man it was worth it! Lastly, there were a bunch of old Pushead Fanclub mailings. Really fun stuff from when the FC was super active. Holiday cards, letters…. such good stuff. Growing up, being a skater and a comic-nerd didn’t exactly endear me to the farm kids of Plant City, Florida. While my brother and I still did our farm chores we weren’t really in line with kids our own age. I didn’t really have an outlet for either; reading comics by myself and skating alone on the road closest to my farm on ramps that my Dad made in the shop. All that changed when Henry Lariscy opened ‘Hobby Express’ in the Strawberry Plaza. 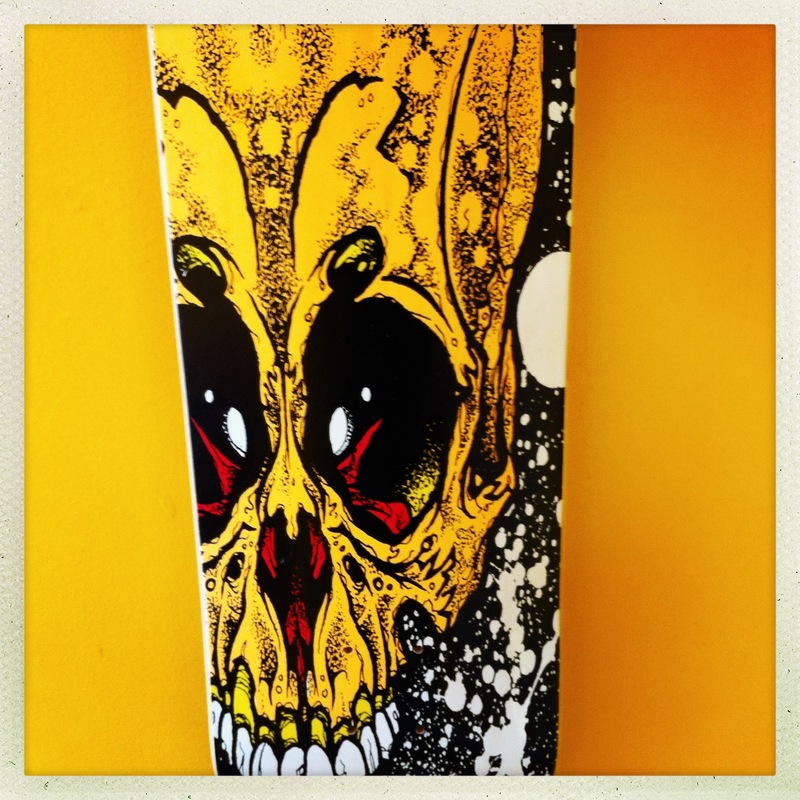 Henry and I became friends and the store became my preferred hangout spot; a place where you could read and discuss comics, D&D (which I proudly played, along with Call of Cthulhu) and buy, build and work on skateboards. I was already a diehard Pushead/Zorlac fan when Henry had them sponsor a Pro/Am event in the lot behind his store. 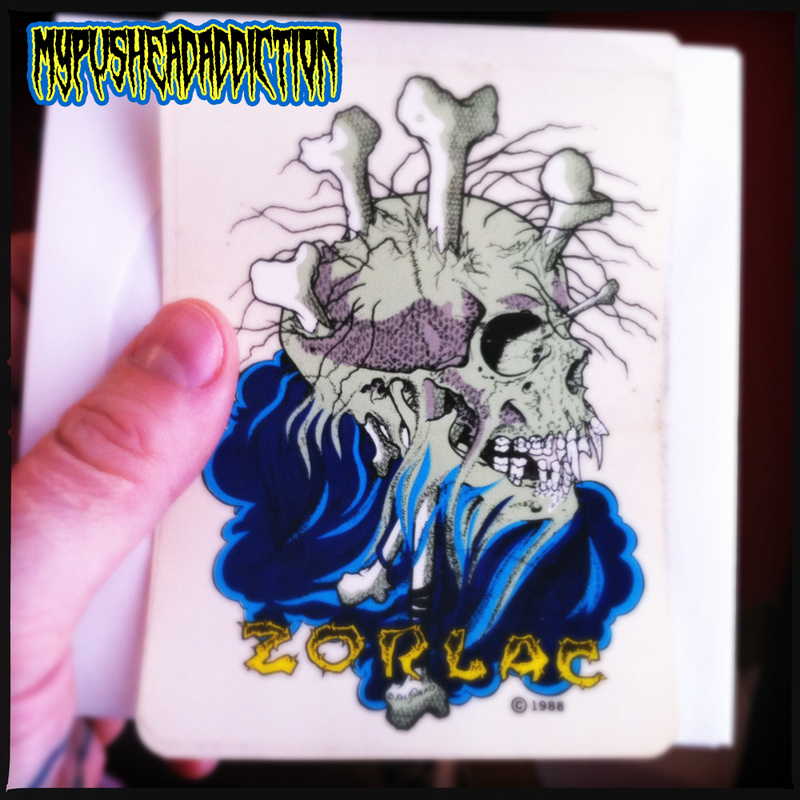 The Zorlac guys came with bags of swag… Pushead stickers galore. Most of them, I’m loathe to say, ended up on everything I owned. My decks, my notebooks at school, etc. I was looking for something in my hall closet today (which I still haven’t found, and should still be searching for instead of updating a dang blog!) and came across this little guy from back in the day. 1988.It survived the notebooks. I don’t really know where Henry got off to, but on the off chance he ever finds this (be honest: we all google our names) I’d sure like to say thank you for all the good times.